It’s estimated that 125,000 people attend the Sundance Film Festival, so there are 125,000 ways to experience it. The permutations of how many movies someone sees, which ones and when, along with the panels, parties, music experiences and people watching in Park City or Salt Lake City, are astronomical — making everyone’s festival different. In my case, I will have seen 30 movies in Park City by the time the festival is over Sunday — plus 10 more I watched beforehand thanks to eager publicists. That’s still only a third of the 119 feature films on the festival slate, plus shorts, special events, the New Frontier programs and the short-form Indie Episodic shows. So take this list, of the 10 best things I saw at Sundance 2019, with that in mind. I heard about a lot of good stuff I didn’t get to see. But most of what I saw, I enjoyed. 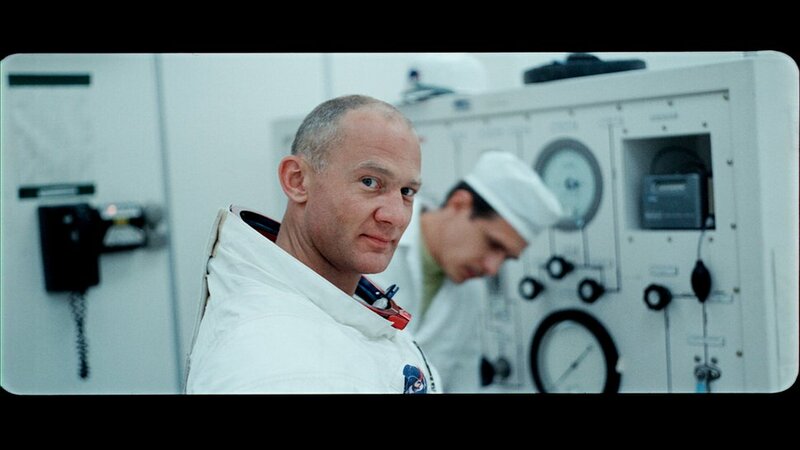 (Photo courtesy Neon/CNN Films/Sundance Institute) Astronaut Buzz Aldrin in his space suit, in an image from Todd Douglas Miller's documentary "Apollo 11," an official selection in the U.S. Documentary Competition of the 2019 Sundance Film Festival. “Apollo 11” (U.S. Documentary) • This engrossing documentary follows mankind’s first trip to the moon, from the launchpad to splashdown, much of if using video and audio footage that has been in cold storage for nearly 50 years. Director Todd Douglas Miller and his team meticulously pored over those archives and put together a movie that explains the complex maneuvers that got Neil Armstrong, Buzz Aldrin and Michael Collins to the moon and back. • Screens again Thursday, 9:30 p.m., Redstone Cinema 1, Park City, and Saturday, 6:30 p.m., at The Ray, Park City. Neon will release it later this year, and CNN will likely broadcast it in July for the mission’s 50th anniversary. (Photo courtesy Ferocious Entertainment / Lifeboat Productions) Sisters Rachel (Hannah Pearl Utt, left) and Jackie (Jen Tullock) discover their mother isn't dead, as they were led to believe, in the comedy "Before You Know It," directed by Utt and written by Utt and Tullock, an official selection in the U.S. Dramatic competition of the 2019 Sundance Film Festival. “Before You Know It” (U.S. Dramatic) • Director Hannah Pearl Utt and her writing partner, Jen Tullock, are charming as polar-opposite sisters who run a small off-off-off-Broadway theater for their playwright father (Mandy Patinkin). When tragedy strikes, they learn their thought-to-be-dead mother is actually a successful soap opera star (Judith Light). Utt and Tullock generate laughs and heartbreak in equal measure, a winning combination. • Screens Friday, 9 p.m., at Sundance Mountain Resort Screening Room, Provo Canyon, and Saturday, 3 p.m., Library Center Theatre, Park City. Distribution pending. (Jon Pack | courtesy Sundance Institute) Jillian Bell stars in Paul Downs Colazzo's comedy "Brittany Runs a Marathon," an official selection in the U.S. Dramatic Competition of the 2019 Sundance Film Festival. “Brittany Runs a Marathon” (U.S. Dramatic) • Accompanying “Before You Know It” in the quarter-life crisis double feature, writer-director Paul Downs Colaizzo’s comedy centers on Brittany (Jillian Bell), who has a dead-end job in a different Manhattan theater and is told by a doctor that she’s unhealthily overweight. She reluctantly joins a neighbor’s running club and blossoms as she discovers she likes it — which leads to a vow to run the New York City Marathon. Bell (“22 Jump Street”) gives a performance that’s hilarious and touching. • Screens Thursday, 2:30 p.m., The MARC Theatre, Park City; Friday, 3 p.m., Library Center Theatre, Park City; and Saturday, 3:15 p.m., Grand Theater, Salt Lake City. Amazon has picked up distribution rights. “Clemency” (U.S. Dramatic) • Some bright marketing person in Park City must be salivating at the Oscar campaign that could be planned around Alfre Woodard’s jaw-dropping performance in writer-director Chinonye Chukwu’s drama. Woodard plays a prison warden who suffers a moral and personal crisis while overseeing the lead-up to an execution. Chukwu tackles big issues with humanity and thoughtfulness. • Screens Thursday, noon, Temple Theare, Park City; Friday, 6:30 p.m., Rose Wagner Center, Salt Lake City, and Saturday, 8:30 a.m., Egyptian Theatre, Park City. Distribution pending. “The Farewell” (U.S. Dramatic) • Comedian and rapper Awkwafina, a great supporting player in “Crazy Rich Asians” and “Ocean’s 8,” proves she’s a star in this comedy-drama. She plays a struggling writer who learns her grandmother (Zhou Shuzhen) in China has cancer, but the family isn’t telling her — but they are helping her plan a relative’s wedding, so everyone can pay their respects before she goes. Writer-director Lulu Wang finds humor in the cross-cultural clashes and heartache in the family dynamics. • Screens Friday, 8:30 a.m., Egyptian Theatre, Park City. A24 has picked up the distribution rights. (Photo courtesy MGM Studios) Florence Pugh plays Raya Knight, an English teen who has dreams of competing as a pro wrestler, in the "based on a true story" comedy "Fighting With My Family," an official selection in the Premieres section of the 2019 Sundance Film Festival. “Fighting With My Family” (Premieres) • On the surface, this wrestling comedy that features Dwayne “The Rock” Johnson as himself is a little commercial for the highbrow Sundance audience. That doesn’t account for writer-director Stephen Merchant’s biting wit infusing this story of a teen wrestler (Florence Pugh) proving herself in the cutthroat world of the WWE. • No more festival screenings. MGM Studios will release the movie in select cities Feb. 14 and nationwide Feb. 22. 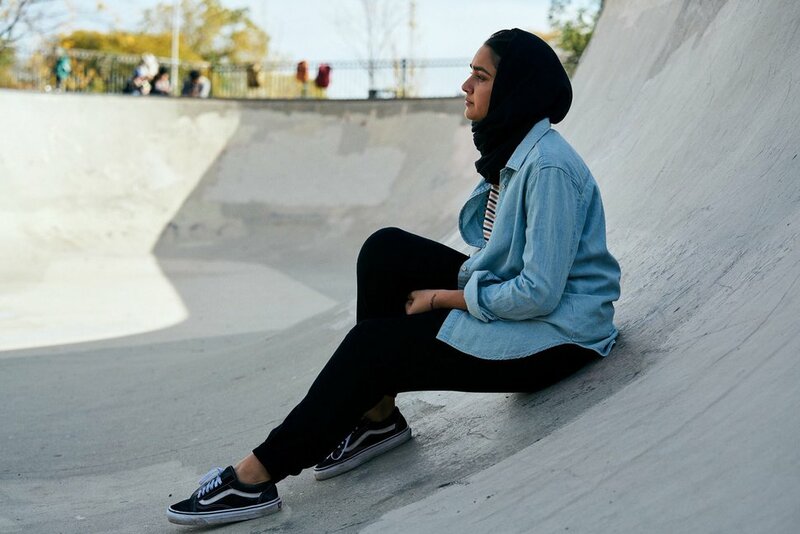 (Parrish Lewis | courtesy Sundance Institute) Geraldine Viswanathan stars as a Muslim teenager figuring out her life in Minhal Baig's "Hala," an official selection in the U.S. Dramatic Competition of the 2019 Sundance Film Festival. “Hala” (U.S. Dramatic) • A Pakistani-American Muslim teen (Geraldine Viswanathan) confronts her burgeoning sexuality, her crush on a classmate and the expectations of her tradition-minded parents. Writer-director Minhal Baig, drawing upon her own life, creates a coming-of-age that’s culturally specific and emotionally universal. Viswanathan, so funny as John Cena’s daughter in “Blockers,” is a star in the making. • Screens again Thursday, 12:15 p.m., Eccles Center Theatre, Park City, and Friday, 11:45 p.m., Prospector Square Theatre, Park City. Apple has picked up distribution rights. 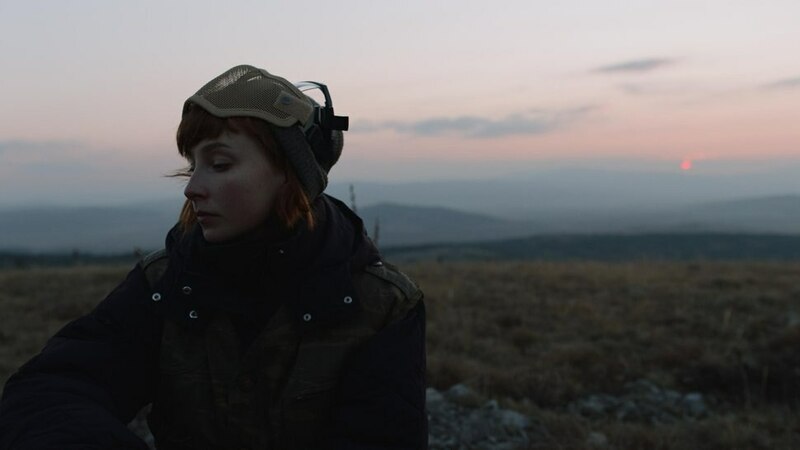 (Aleksandar Valeriev Stanishev | courtesy Sundance Institute) Veera, a woman who uses cosplay to deal with her issues, is the focus of Tonislav Hristov's "The Magic Life of V," an official selection in the World Cinema Documentary Competition of the 2019 Sundance Film Festival. “The Magic Life of V” (World Cinema Documentary) • A tenderly rendered profile with a tough emotional core, Tonislav Hristov’s documentary follows Veera, a young Finnish woman who attends live-action role-playing events across Europe, in her persona V, making friends in Hogwarts robes or foam-rubber swordplay. The cosplay has a deeper purpose, as Veera is using her characters to build up her own courage to battle the demons in her life. • Screens Thursday, 9 a.m., Park Avenue Theatre, Park City, and Friday, noon, Holiday Village Cinema 2. Distribution pending. 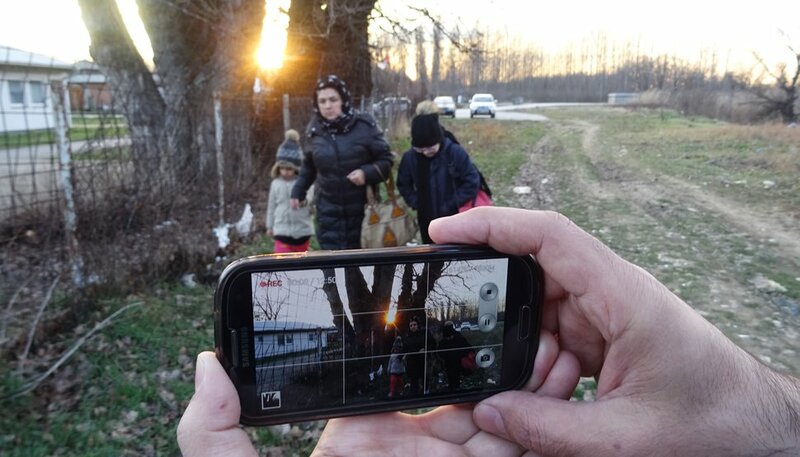 (Lutfallah Bakhtary | courtesy Sundance Institute) Director Hazan Fazili chronicles his own family's trek from Afghanistan in "Midnight Traveler," an official selection of the World Cinema Documentary Competition at the 2019 Sundance Film Festival. “Midnight Traveler” (World Cinema Documentary) • While you’re using your cellphone to hail a Lyft ride, Afghan filmmaker Hassan Fazili — with a price on his head from the Taliban for his work — used three cellphones to film the journey he, his wife and their two daughters took as refugees. It’s a harrowing trip from Afghanistan through Iran, Turkey, Bulgaria and Serbia, and every moment is riveting. • Screens Thursday, 3 p.m., Library Center Theatre, Park City, and Friday, 3 p.m., Holiday Village Cinema, Park City. Theatrical distribution pending; produced by ITVS, so it should appear on PBS eventually. 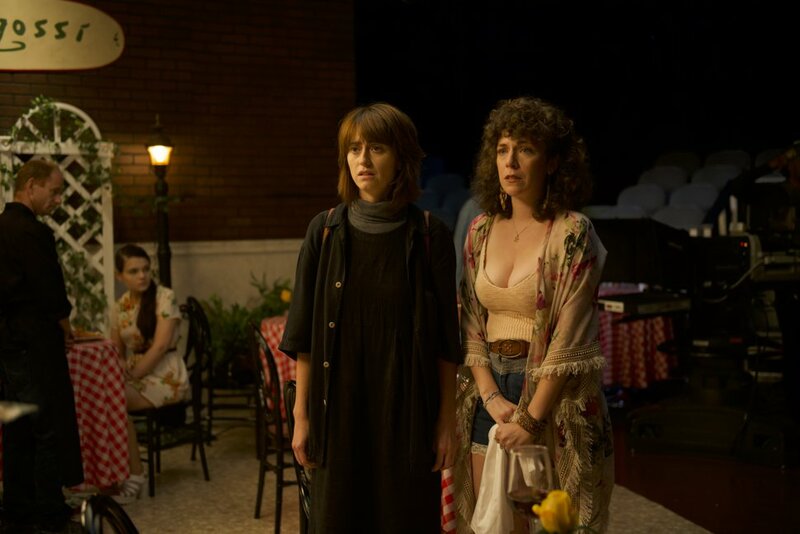 (Andrew Reed | courtesy Sundance Institute) Two teen girls (Kara Hayward, left, and Liana Liberato) begin an intimate relationship in 1960s Oklahoma in "To the Stars," by Martha Stephens, an official selection in the U.S. Dramatic Competition of the 2019 Sundance Film Festival. “To the Stars” (U.S. Dramatic) • In the windswept plains of Oklahoma in 1960, shy Iris (Kara Hayward) gets bullied by the kids at school and belittled by her whiskey-soaked mom (Jordana Spiro). Enter a new girl, vivacious Maggie (Liana Liberato), who tells tall tales of the big city where her family recently lived — without telling the truth about why they left. Director Martha Stephens tells this coming-of-age tale sensitively and with stunning black-and-white images that recall “The Last Picture Show” in their nostalgic beauty. • Screens Friday, 12:15 p.m., Eccles Center Theatre, Park City, and Saturday, 11:30 a.m., Prospector Square Theatre, Park City. Distribution pending.